OGP UK will demonstrate how to use your multi-sensor measurement system to collect the information required to make informed decisions with aim of increasing your production line efficiency. The addition of new measuring sensors allows users to expand their machine functionality and performance, improving throughput and production line accuracy. 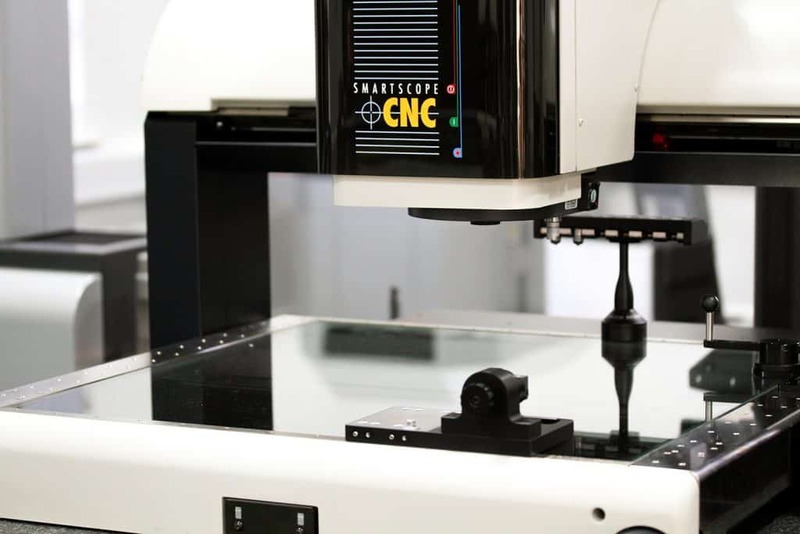 Updating your sensor technology will impact your metrology capability in the long run so you can adapt to measure more complex components and meet the manufacturing demand of the future. Bespoke fixture design and manufacture also allows for you to incorporate a tailored fixture kit to suit your inspection routine needs. Metrology software, in short, allows machine operatives to interact with measurement systems. It offers maximum control for the user allowing them to control, monitor, and report every aspect of the measurement routine. Software for OGP UK systems allow users to do as little as possible, or as much as you need per part, from operation to operation. Many software solutions carry out automatic operations, limiting operator influence and thus resulting in less errors, whilst extensive sets of automated tools provide greater measurement capabilities as well as consistently accurate and streamlined results 24/7. Through combining new ZONE3 CAD-enabled software, which works to enhance your data point collection process making it as efficient as possible, will optimise your measurement data handling. This allows for hardware and software to seamlessly communicate, carrying out intuitive adjustments, whilst recording and verifying results, as well as also enabling operatives in making informed decisions and implement changes. Certified training packages are offered where basic training involves a system overview and introduction to the integrated user interface. This training includes part set-up and datum’s, as well as creating, saving, running and the ability to edit your inspection routine. Users can also opt for advanced training which further adds to basic knowledge. This involves a knowledge refresh, data management, advanced lighting techniques for low contrast edges, part repeat and multiple component measurement, implementation of math, branch and functionality, formatting for stats, import and export of CAD data, multi-sensor operation, as well as application-specific questions and answer. OGP UK offer a choice of training packages including individual of group training days on or off site at the OGP UK Advanced Innovation Centre (AIC) located in Foston. Bespoke refresh training programmes are also available, tailored to provide advanced knowledge on manufacturer-specific measurement requirements. As part of a complete measurement and management process, machine calibration reduces the risks often present when collecting part data and offers a record of measurement from start to finish, allowing for verification of the part’s conformance to regulatory requirements. Uncalibrated systems often lead to various audit trail issues and create doubt about the credibility of the measured data. A reliable measurement management process allows the level of risk to be quantified and made visible to management, enabling the optimisation of your inspection routine. Intermittent calibration ultimately aids in the improvement of your bottom line by reducing downtime and maximising throughput.